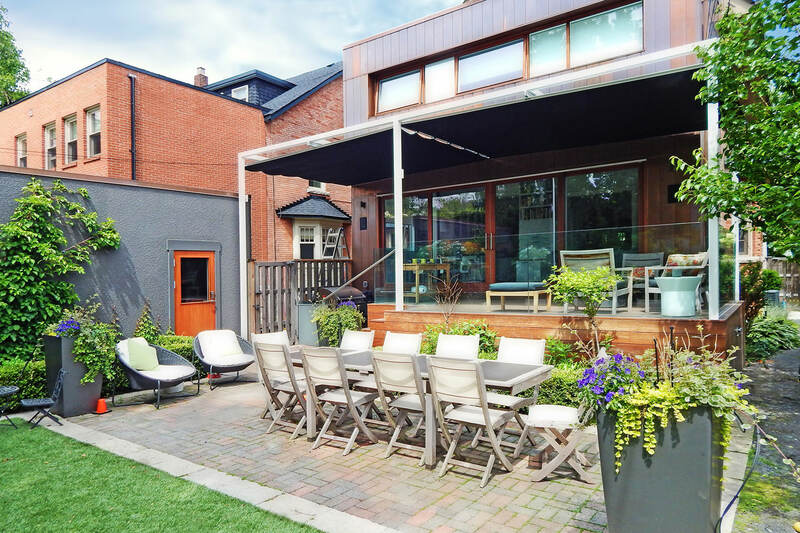 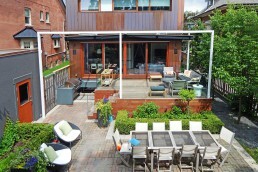 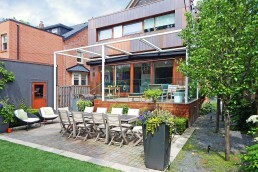 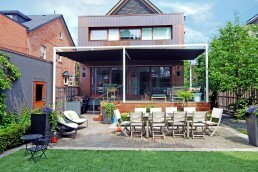 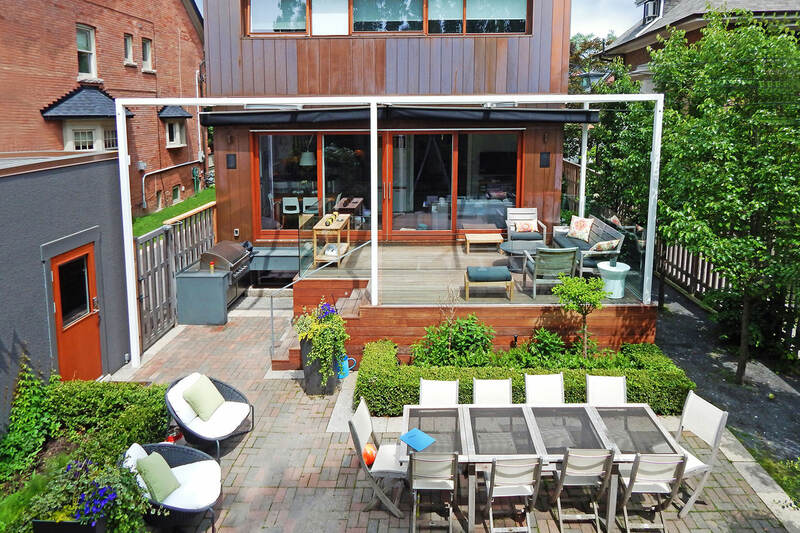 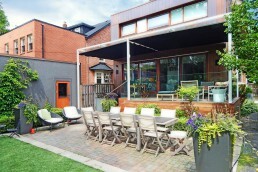 The renovation of this private residence in Toronto’s Rosedale neighborhood includes an overhaul of an outdoor space that was inadequate in comparison to the rest of this contemporary masterpiece. 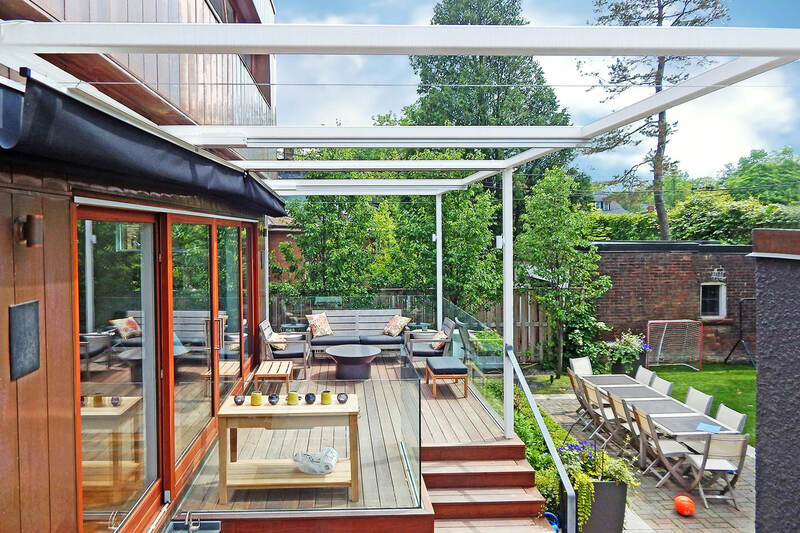 Initially, the homeowners explored only shade solutions but became attentive to full sun and rain coverage when they discovered the capabilities of ShadeFX which provided additional benefits without compromising their minimalist design. The ShadeFX application includes two motorized retractable shades covering approximately 400 sq.ft. 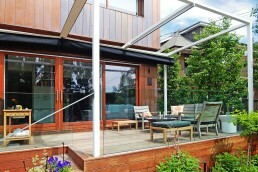 The canopy drop is reduced so that the view from the living and dining room is not obstructed. 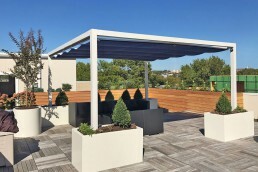 The retractable shade hardware and components are powder coated white and cables are used as stabilizers to minimize material and modification requirements on the steel structure. 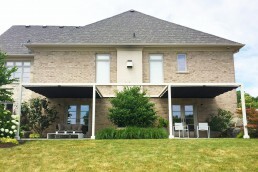 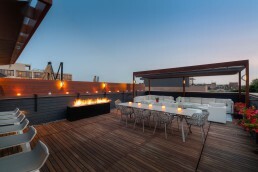 For rain management, a rain hood was integrated into the structure to direct rain from the middle of the structure to the outside areas of the outdoor living space. 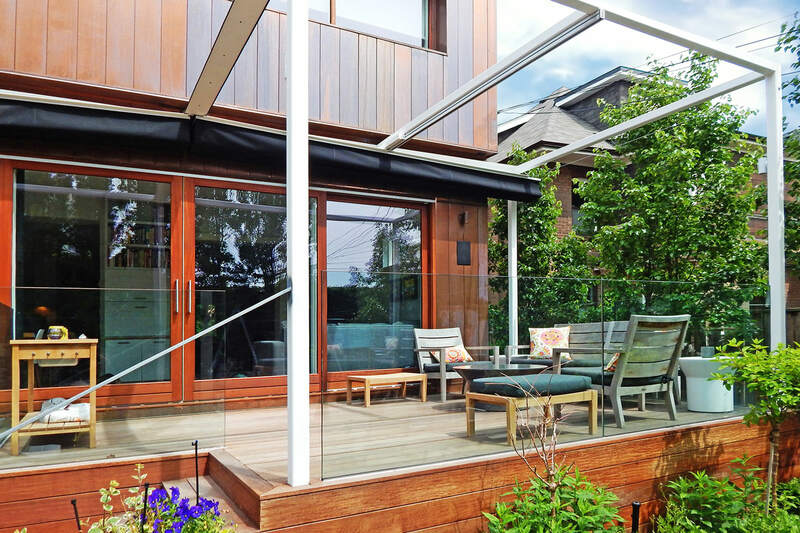 Get started by contacting us to review your project plans.